National Park Kick: Happy Birthday Yellowstone! The world’s first national park turns 143 today. There are now 59 national parks in the United States, and over 6,500 worldwide – go enjoy them! 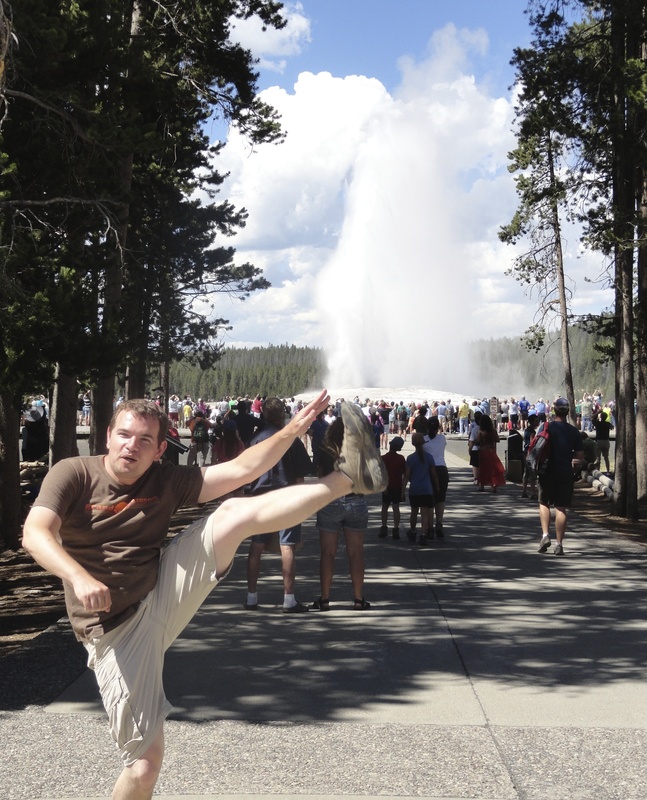 This entry was posted in High Kick Photos and tagged High Kick, Old Faithful, Yellowstone National Park. Bookmark the permalink. 1 Response to National Park Kick: Happy Birthday Yellowstone! so very much much more orderly than El Tatio geysers!! !